In his new book, David Montgomery goes deep on the economic and climate-saving potential of healthy soil around the world. Compared to sea level rise and super storms, soil is not at the center of most people’s thinking about climate change. But David Montgomery is here to change that. 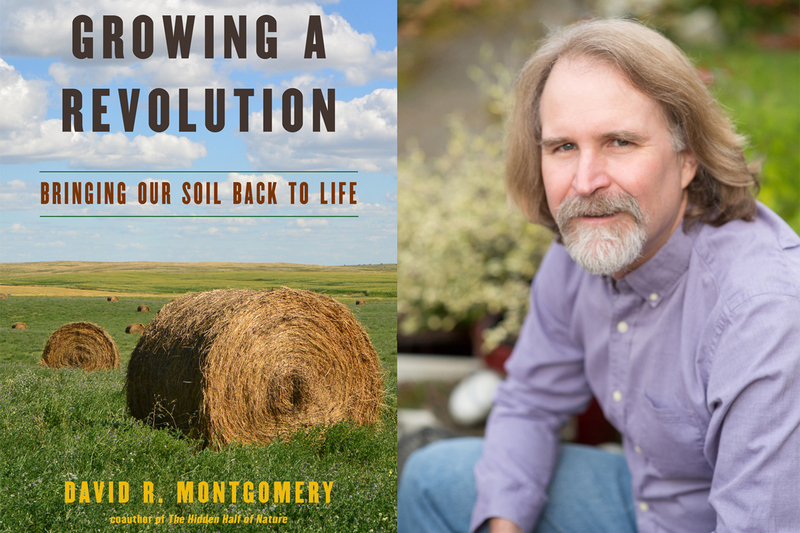 For the former MacArthur fellow’s most recent book, Growing a Revolution: Bringing Our Soil Back to Life, and his third book about soil, Montgomery traveled the world to document the wide range of methods farmers are using to restore the health of the world’s soil. Like a travelogue for the environmental set, the book elegantly integrates Montgomery’s research with age-old wisdom about farming. 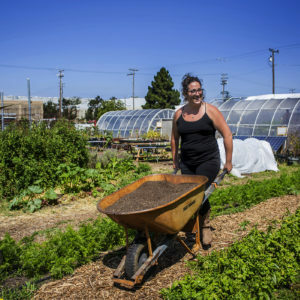 For decades, the Professor of Earth and Spaces Sciences at the University of Washington argues, soil has been degraded and taken for granted as farming practices have become increasingly industrialized. But as he spends time with farmers from the Dakotas to Ghana, Montgomery sees firsthand that soil regeneration is the key to increasing crop production and slowing climate change. Civil Eats recently spoke with Montgomery about his book, “crazy” farmers, and what it will take to bring back healthy soil on a global scale. You write that soil is the resource that “consistently gets overlooked or short-changed in public discourse and policy.” Why do you think those of us who aren’t farmers and scientists fail to recognize the value of dirt? In part because we think of it as “dirt” and not “soil.” We think of it as something we don’t want to track into the house rather than the living foundation of agricultural civilizations. And we don’t tend to think of soil as something that changes because soil erosion and degradation occur slowly enough to escape notice year by year. It is only over a lifetime that one can really notice the changes to the land. Quite simply, we take it for granted. I’m struck by the hopeful tone of the book. When you set out to research for the book, were you feeling “positive about our long term prospects,” as you were at the end of this process? Frankly, no. I finished my previous book, Dirt: The Erosion of Civilizations, with a call for treating the world’s soils as an intergenerational trust. But I was not anywhere near as optimistic about our potential to actually do that before I visited farmers around the world who have already restored fertility to their land and now use far less diesel and agrochemical inputs—and spend a lot less on fertilizer and pesticides. Can you identify a turning point—a conversation or insight—during your research at which your “ecopessimism” turned around? I really started to see that we really could turn the ancient problem of soil degradation around when my wife, Anne Biklé, and I noticed how fast all her mulching and composting was improving the soil in our garden, bringing it back to life in remarkably short order. There was one day when we noticed that the soil in our planting beds had gotten a lot darker—it was kind of like, hey remember that khaki beach sand colored soil we had, now it’s milk chocolate. This set us off to write The Hidden Half of Nature about our experiences learning about the importance of microbes in our garden—and our gut. Wondering whether soil restoration could be done as rapidly on farms started me on the path to writing Growing a Revolution. I especially enjoyed learning about Gabe Brown’s surprising success using cattle to rebuild soil. Do you think there’s any hope for the small farm to have a come back? Yes, I do. I was incredibly impressed with how Gabe and his son Paul have created a viable new model for a prosperous family farm. 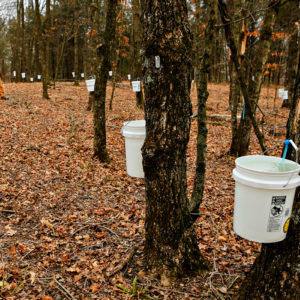 This new style of regenerative agriculture that relies less on expensive chemical inputs can help reshape the economics of smaller farms. After the second World War, American farmers got squeezed between low commodity crop prices and rising inputs costs. By improving their soil health, so that they don’t need as much in the way of inputs, farmers can improve their bottom line. The challenge, of course, is that it requires thinking about the soil differently and walking away from conventional practices to ditch the plow, plant cover crops, and grow a diversity of plants. The book features only conventional farmers, except for the Rodale Institute. How did you choose the farmers you did? I wanted to visit a broad range of farms, organic and conventional, large and small, and in the developed and developing worlds to find out whether the system of conservation agriculture (no-till, cover crops, and diversity) worked across the board. So I visited large farms and ranches in the U.S. and Canada, small subsistence farms in equatorial Africa (Ghana) and coffee plantations and agroforestry farms in Central America (Costa Rica). I visited the Rodale Institute to ask about whether no-till could be done on organic farms, motivated in part by hearing from conventional farmers that it couldn’t be done [because no-till generally involves controlling weeds with herbicides]. But I found that the folks at Rodale have been doing organic no-till for years. Most of the farmers I visited were conventional because I wanted to learn what adopting this new system could do for the soil on farms practicing [growing] functional monocultures with intensive tillage and chemical use. I [also] wanted to visit farmers who had already restored fertility to the land to find out what worked and see what could be generalized from their varied experiences and stories. I found that farmers who had adopted the general principles of conservation agriculture had not only greatly enhanced the quality and fertility of their soil, but returned profitability to their farms by spending less on diesel and chemicals. I started calling them “organic-ish” farmers because they were hardly using any chemicals. What do you think is standing in the way of wider change to how we treat our soil? We all know that habits are hard to break. And to abandon the plow and seek to minimize the use of agrochemicals is a really different way of looking at the soil and farming. But enough science now supports the value of restoring health and fertility to the world’s agricultural soils that I’m confident that the farmers I visited are not anomalies. And their successes have already had a great impact in the regions where they live as other farmers notice that the “crazy” folks trying out new ideas are actually prospering. 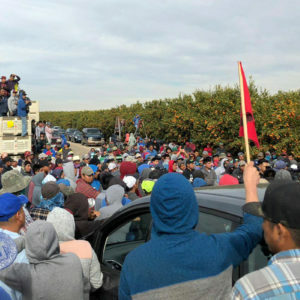 [Conventional] farmers are squeezed between the low prices they get for harvesting commodity crops and the high prices of the diesel, fertilizer, pesticides, and patented seeds. I didn’t meet a single farmer who objected to the idea of paying less for diesel and fertilizer. The challenge will be to figure out how to tailor the general principles of conservation agriculture to specific practices that work for farmers in different regions, with different soils, climates, and crops. But that is a challenge that I think farmers and researchers are up to. If it were up to you, who would be your pick for U.S. Secretary of Agriculture? Hands down, my choice would be Howard G. Buffett. His vision of a Brown Revolution to restore agricultural soils is inspiring and he’s a farmer who knows the business side of agriculture. I agree with him on the choice of Howard G. Buffett! Not sure I agree with David Montgomery about Howard Buffett, who, according to the linked piece is on Coca-Cola's board (and is effectively a multimillionaire, if not billionaire), but overall I really like what he (Montgomery) is doing and "brings to the table".